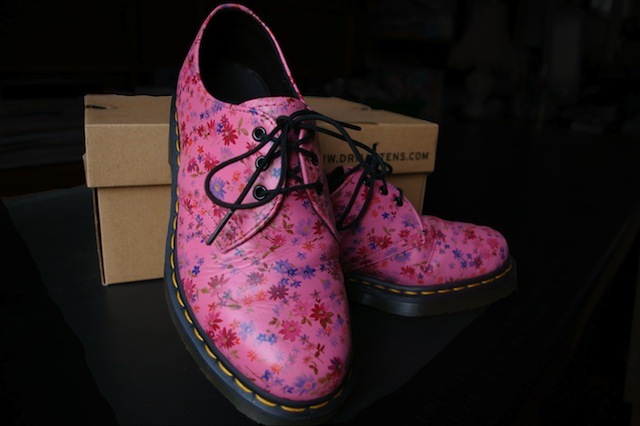 Dr Martens Kicks – What’s not to like? 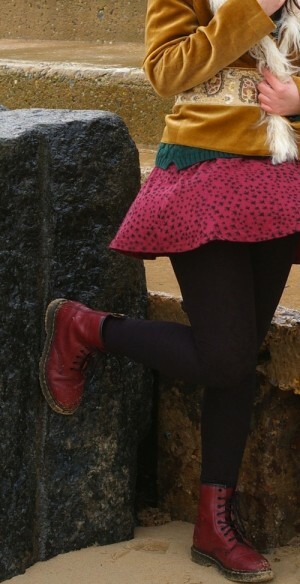 Some products are the epitome of ‘form and function’ and, for me, Dr Martens boots and shoes are just that. I remember the feeling of liberation the first time I bounced down the escalators at Highbury and Islington tube station wearing my first pair when I was a 19 year old student. I had switched down from the high-heeled, dainty shoes that my mother approved of into black DMs that I could actually walk, run, and climb stairs in. Last month, Dr Martens opened their second largest store in the UK in Norwich and needless to say I had to get along and have a look at all the fun designs. I do have some ‘lady-like’ party shoes, but most of the time I live in my boots. 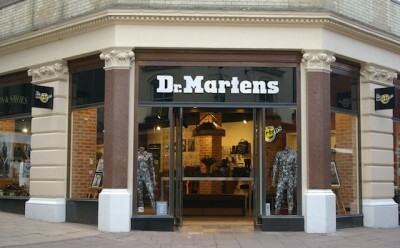 Dr Martens is a British company based in Northampton where they have been making footwear for over 100 years. Originally, the Griggs family started as traditional family shoemakers in 1901, but in the 1950s they began a collaboration with a couple of Germans, Dr Klaus Märtens and Dr Herbert Funck. Märtens and Funck had developed a novel air-cushioned sole made from rubber and together with Bill Griggs a new working boot was designed. The first pair of Dr Martens were made in the Northampton factory in April 1960. Now, over 50 years later we can even find a Dr Marten boot for our tots or treat ourselves to an arty pair from the eclectic range made in the brand’s original factory at Wollaston, Northamptonshire, reopened in 2007 to produce vintage styles. Author agnesashePosted on November 8, 2013 Categories Contemporary Culture & Design, Family & DesignTags boots, Dennis the Menace boots, DMs, Dr Martens, East Anglia, Norwich, pink, pink Dr Martens, shoes2 Comments on Dr Martens Kicks – What’s not to like?